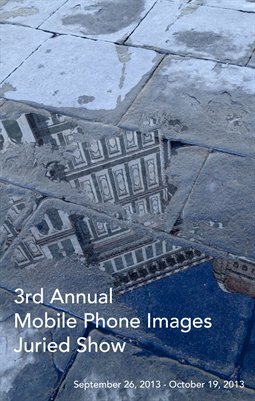 The 3rd Annual Mobile Phone Images Juried Show opens today at gallery nrc and T Gallery at MODesTEA. The work will be on display through October 19th with an artist reception on Friday October 4th from 6:00PM – 10:00PM at both locations. If you would like to browse the work included in the show, you may do so online through the show catalog which is also available for sale.